Keith Whitley is one of my all time favorite country artists. The man was a true country one of a kind. He had his own style, his own sound. There was nobody else like Keith Whitley on the radio and there still isn’t today. Keith Whitley was the king of the sad country song. Listening to his Greatest Hits album puts you in those places most people are afraid to go. But if you’ve been wronged by a woman or if you’ve screwed up life real bad there is no better company than Keith’s songs. 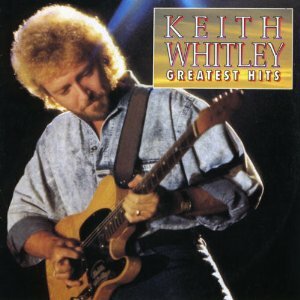 One of those classic sad country songs is also my favorite Keith Whitley song – I’m Over You . Denial has been something discussed in many songs. Here we have a guy trying to act like he’s over his ex and better than ever. She’s been hearing all these crazy things about him and he’s trying to say none of them are true. He’s drinking more than he should? Drowning away his sorrows and loneliness? Even when I’m in a good mood I like listening to I’m Over You . There is something about the song’s laid back chorus that gets to me. It’s so catchy while having such a sad undertone. It’s a great country song and not one I think is well remembered by today’s country music fans. There was a bit of a reprival of the song when Chris Young released his version of I’m Over You. Big respect to Chris for bringing a little attention to a country great. Chris is one of today’s traditionalists in the same way Keith was back in the late ’80s. I love I’m Over You and am happy to share it here for Flashback Friday.